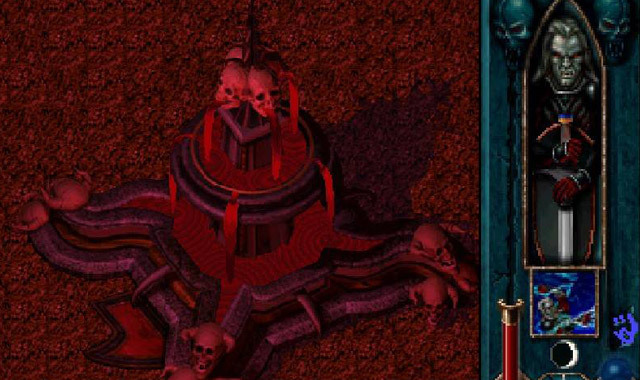 Legacy of Kain: Blood Omen was the first game in a series about a nobleman-turned-vampire seeking revenge. It was set apart from other games at the time by its strong anti-hero qualities and cinematic, complex story line. I fell in love with it for its voice acting and dark tone, despite its seriously annoying load times and lag. It was also the first RPG I bought for the original PlayStation, so I treasured every moment as I patiently waited for Final Fantasy VII to be released. Back in 2012, a NeoGaf forum member culled published information and created a fascinating account of the series’ development woes. This includes a full account of the legal problems between the original developer and Crystal Dynamics, who was credited with publishing — and even helping finish — the game. Silicon Knights have since gone the way of the dinosaur (which is not related to their dispute with Crystal Dynamics). And although both companies seem to be under some sort of gag order, the evidence in this post seems to point toward Silicon Knights’ allegations that Crystal Dynamics basically sold off their Kain IP without notifying them or giving them first right of refusal. Crystal’s countering with the story that they basically saved the game from the scrap heap bears some merit as well. Tensions between the two groups did result in police intervention at one point, so it appears there was some bad blood even before the lawsuit. Crystal Dynamics settled with Silicon Knights privately, having partially been granted and denied merits of the counter-suit. The cause was rumored to be because they weren’t doing well enough financially to fight Eidos in court, but no one knows for sure since details of the settlement are confidential. They won the right to be credited for the concept of Kain, but Crystal Dynamics got the real prize: rights to use the franchise and characters for sequels. Perhaps it’s the nostalgia talking, but I find it sad when you peek behind something that you treasure only to realize it’s mostly grimy cogs, machinery and lawyers, driven by the bottom line, and not the wistful adventure you imagined. But, as the oft-cited Sturgeon’s Revelation states, “90% of everything is crap.” And, in many cases, a huge portion of that 90% is occupied by lawyers and opportunistic businesspeople. I divide my time on earth between being a recovering insomniac, web utilitarian, father, grandfather, musician and occasional video game plinker. If my life were a movie, David Lynch would be directing. The LoK series is always really good. I don’t know why they keep cancelling new games. I would rather play Dead Sun then Nosgoth.